The other day while I was at a conference I was able to snag a few minutes between some scheduled meetings to take a quick break and grab something to drink. The “beverage table” had the usual carafes of coffee, but they also had a hot water dispenser and a decent selection of bagged tea. As I’d already had my dose of caffeine for the day, I opted for the tea: a decent ginger one (plus they had lemon wedges and honey so it was perfect for me). While I was letting my tea steep, a colleague of mine who was running the conference came up to me to ask how the tea was and we got into a nice conversation about tea. He’s been getting more and more into it, and over the last six months or so I’ve also made a big switchover to tea. I recommended he check out the Rishi brand stuff (in particular the ginger tumeric and the matcha super green). As we talked though, the conversation moved a bit from the tea itself to a more “philosophical” discussion about why we actually have been liking tea lately – and we both came to a very similar conclusion: simply by going through the process of making tea, we’re forced to slow down. The simple act of going through a process forces us to slow down. Working in the tech space, along with just the way our lives work these days, we’re always in a rush and we’re always multitasking. Making yourself take a break from all that to focus on one thing in particular, and go through a process brings us much more back to the present moment, focusing on what we are doing, and going through specific steps to reach a goal. It’s this simple process in and of itself that can be so satisfying. Boil the water, get out the cup, put your tea in a diffuser (or pick out a bag), pour the water, let it steep, add whatever extras you want (honey and lemon for me), and then drink. It’s a process that can’t be sped up, and it requires time and patience. It’s also one of the main reasons I didn’t drink much tea before: I couldn’t just pour a mug and keep on running to the next thing. I’ve noticed a similar kind of result from listening to vinyl records. If you know me, you know I’m a music nut. I’ve got thousands of CDs, nearly 20,000 (legal) mp3s and subscribe to multiple streaming music services. But what I’ve found over the last few years is that my preferred way to listen to music is through vinyl records. 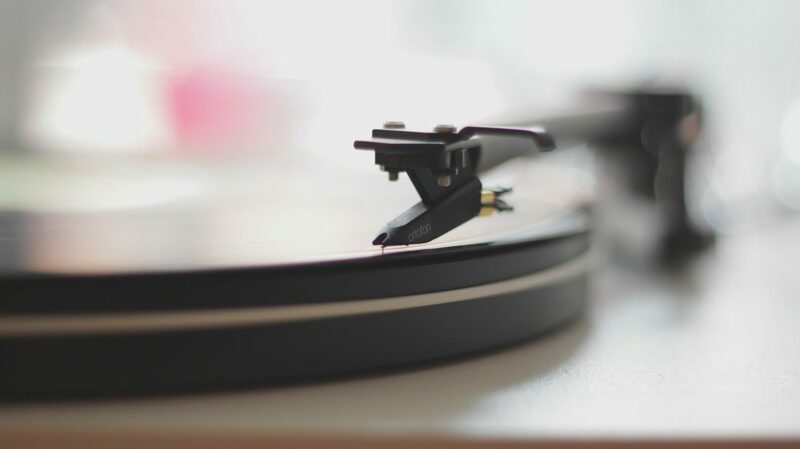 Yes, it’s a bit of a hipster fad (and according to recent surveys, nearly 50% of recent vinyl purchases aren’t even listened to), and beyond the “hip” factor there are things like audio quality and artwork that people enjoy more with vinyl records – but for me the biggest draw to vinyl is simply the process. When I listen to music on vinyl it forces me to stop and slow down and focus on what I’m doing, much like making a cup of tea does. You thumb through your collection, find the record, pull it from its sleeve, dust it off, put it on the player, start it up and drop the needle. And that’s just to get started. It turns the process into an event, which is very rarely the case with when we just pop on Pandora or Rhapsody or Spotify or even the radio. It makes us slow down and focus on the steps of a process that ultimately bring us joy. This, in my opinion, is something we all need to do more of. Take time to slow down. Make some tea. Listen to a record. Bake a loaf of bread. Plant a garden. Forcing yourself to step out of the hectic nature of your daily life by doing these simple tasks can bring much greater rewards than just the end product (drinking the tea / eating the bread). It’s not mindfulness, per se – but it is a way to allow yourself to regain focus. We all need that, I think.